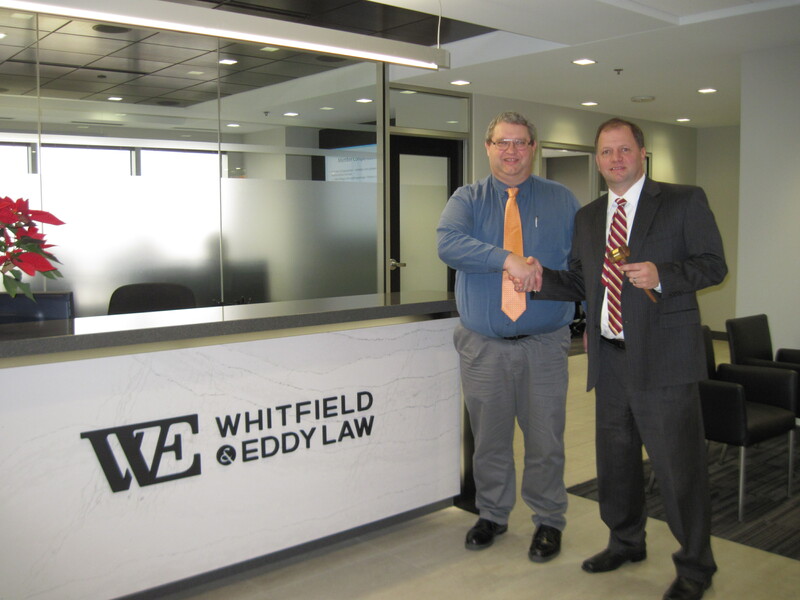 Whitfield & Eddy Law litigator Stephen E. Doohen was awarded a Westfield Insurance Company Golden Gavel by Casualty Claim Specialist Gary Hofer. The Westfield Insurance Golden Gavel recognizes outside counsel for achievement on behalf of the company in insurance defense matters. Doohen was nominated by Westfield Claims Professionals in the Claims Legal Unit for recognition due to the successful result in a matter tried to a jury in the Iowa District Court for Polk County in 2016.